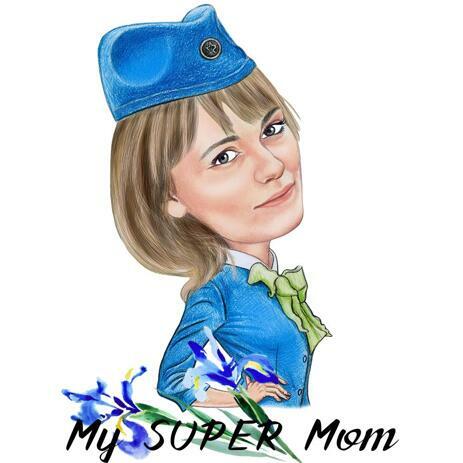 We will draw a beautiful caricature of a woman - your pretty mom, who will be depicted in a professional uniform and featuring flowers and text on a drawing. 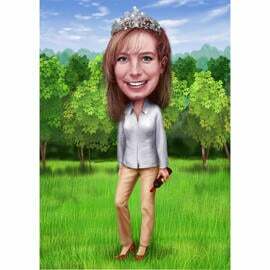 Caricature will be drawn from regular photos. Please attach the original photos of a woman and her uniform in order we could draw any detail precisely. 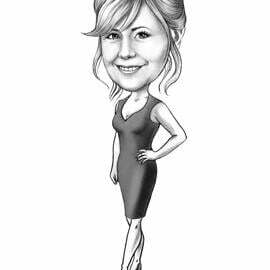 We strive to make each caricature illustration as bright and personalized as possible. 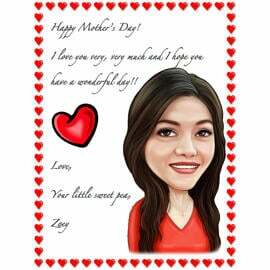 Caricature which will be drawn in honor of Mother's Day, can be used and printed everywhere of your choice. 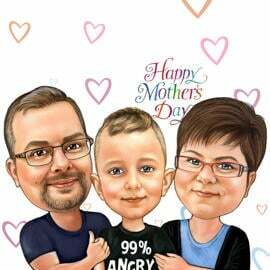 We can also print your drawing on mug or canvas and then deliver you your ready-made canvas or printed photo mug by post. 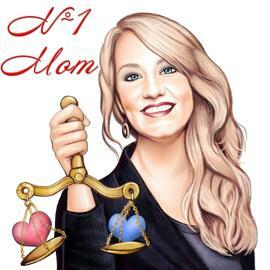 Mention your requirements below and Photolamus will draw a unique caricature of your mom, who will be surprised as never. 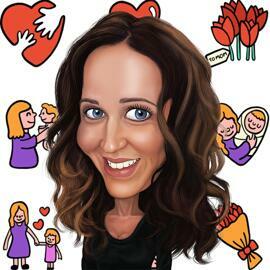 Caricature will be delivered as a JPEG File of high resolution, which can be printed on large surface. 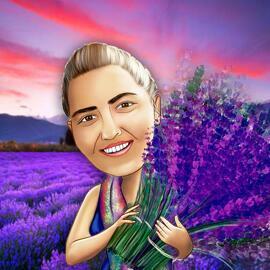 We can print and ship your drawing as Canvas print, photo mug, printed photo poster or puzzle with imprinted drawing. Worldwide shipping.